Information for the Management of your Computer Hardware assets. Computer Price Watch (CPW) – Since 1981: Providing Monthly Price Information of Used IBM (and other Mfr’s) Mainframe Processors, Peripheral devices Sub-Systems and related Features. Servers, PC’s & Workstations (SPWS) – Since 1993: Provides Monthly Used-Market Price Information Most UNIX Based Servers, Intel Based Servers, PC’s, Workstations, Laptops on down to Printers and Monitors. 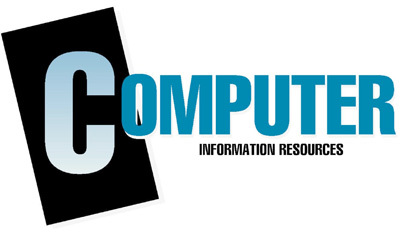 Appraisal and Consulting Services – Computer Information Resources (CIR) offers appraisal and consulting services, for those occasions where a “Third party, independent opinion” is needed. For: “Computer Price Watch”, or “Servers, PC’s & Workstations (SPWS)”. Throughout the History of Computers and particularly since the 1960’s to the Present, it has been important to Corporate accounting departments to know the current value of the expensive Computers in which they have invested countless millions of dollars. From finance to taxation, the accurate depreciation rate(s) and current valuations of their hardware is of paramount importance. An unsupportable guess of said values can be costly in the case of a Tax Audit, deficiencies in “equilibrium” of debt / value ratio, or being improperly insured in the case of a catastrophe. From the introduction by IBM of the historic System 360, (an architectural platform upon which we depend on to this day) there has been a consistent shortening of the lifecycle of the current generations of Mainframe Central Processing Units. The IBM System 360 was first introduced in 1963, and was still selling in the used-equipment-marketplace well into the 1970’s. This was due in part to IBM’s Price List being monolithic to all with the only exceptions being that of “GSA” and “Education”; and the slower, planned evolution into the System 370 introduced in 1970. Even after that introduction, the 360’s still enjoyed a fluid market that persisted for many years because the 360 and 370 used the same basic Operating System along with the same “instruction set” for programming. Hence, the migration to the newer generations was (and still is) “transparent” to the user. All of this prolonged the lifecycle of the mainframe in those early decades. In the 1970’s and 80’s, each new IBM Mainframe Generation announced enjoyed a life cycle of approximately 7 to 8 years, and the previous Generation continued to have desirability and sustained value after it was replaced by newer technology. Since that time the Production Cycles have been shortened to about 2-3 Years between new-generation announcements. Not all Newly-Announced mainframes from IBM were a huge financial success because sometimes the newly announced technology didn’t offer enough for customers to jump into; and in such a case, the previous generations could enjoy a temporary increase in Market Value. The opposite has been the case when IBM’s newer mainframes were an immediate hit and the sales were so brisk, IBM had to randomly assign future Delivery Dates that could be up to a year out. In such case an early delivery date could be sold in the market for up to a 6-figure premium from the owner of the date which would create a temporary and artificial excess that caused depreciation to fall behind market values. Tape and Disk Array Systems are not exempt from the same rapid rate of depreciation. Every firm’s entire Equipment Portfolio should be analyzed at least annually, to keep juxtaposed with the market in order to have the necessary information to upgrade (or not) at any point in time. The Valuation and market depreciation of any Mainframe, Mid-Range or AIX Based Servers is more complex than “Straight-Line”, and a CFO’s need some form of Guidance to prevent over or under valuing their extremely expensive hardware. When the most competent IT Manager is posed with the proposition of a “Trade-in” from a manufacturer to upgrade any category of equipment, the need for an accurate Market Value of that “trade-in” is imperative for Tax, and the Net Value starting point for the new equipment. For All these reasons, our publications the” Computer Price Watch”, and “Servers, PC’s & Workstations”, offer a monthly Guide to the current Fair-Market-Values of Computing Equipment ranging from the IBM Mainframe z-Series, to Mid-Range Systems, Intel Based Xeon CPU Servers, to the Desktop and Laptop PC along with Printers and Monitors.